Transport yourself to medieval times and play Once Upon a Dime jackpot slots! Spin the reels upon a castle background to win 50 FREE Spins and a massive progressive jackpot! 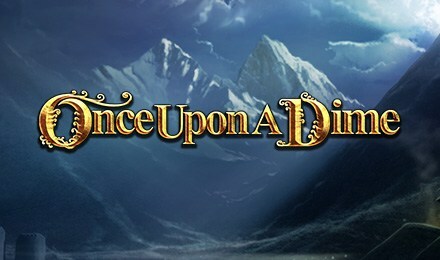 Enjoy a magical gaming experience and play Once upon a Dime jackpot slots! The symbols all fit into the fantasy theme and include wizards, princesses, pumpkins, bags of gold, and more! Look out for the Once Upon a Dime gold coin symbol which is Wild and will replace other symbols and double your winnings! The Castle icon is the Scatter symbols and 3 or more will trigger the Free Spins bonus! if you can manage to get 5 Castle symbols you’ll win an incredible 50 FREE Spins! Plus, there is a massive progressive jackpot growing by the second and it can be awarded randomly as you play!